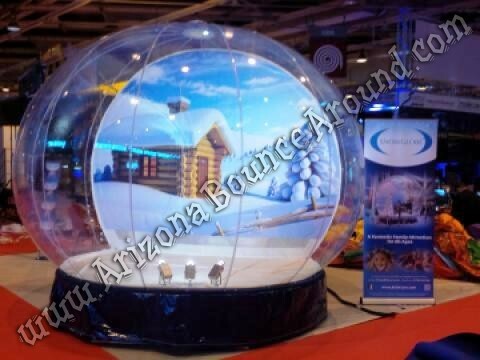 Our Inflatable snow globe is a massive 10.5 foot tall inflatable snow blowing globe that actually blows snow and can be customized with holiday props, company logos, gifts or what ever you can think of. 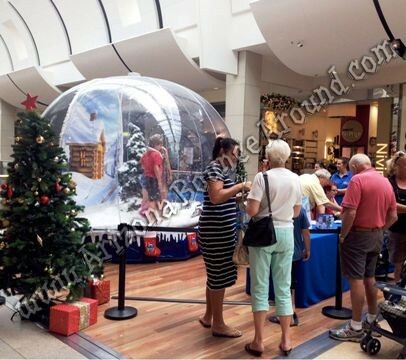 Our snow globe can be used as a holiday photo booth for the entire company, class or family party and comes with a beautyful holiday backdrop. 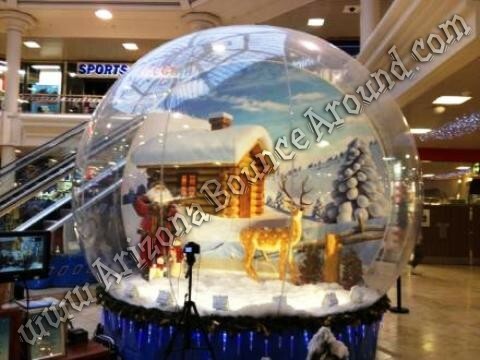 A human snow globe that doesn't blow snow is just a big human hamster ball. We can even make custom branded backdrops to fit your company image or ideas. Call or email your ideas to our our event staff and we will bring your holiday or special event to life. Custom decor or branding will require quotes and some lead time to process and the custom items will be given to you at the end of the event for future events. Custom backdrops range between $900 to $2,500.00 each if your art work is print ready. We offer custom designs and can handle the entire process if you do not have a graphic artist. Our snow globes are professional quality and are easy to get in and out of making them perfect for big holiday parties. We carry lots of holiday party rentals like Trackless trains, tables & chairs, portable bars, stages, dance floors and dance party lights. Don't rent a cheap snow globe that falls down when you enter and exit and does not blow snow. 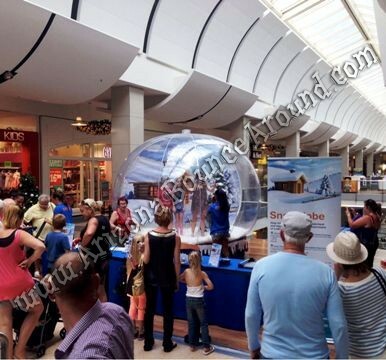 Rent a professional snow blowing globe from Gravity Play Events today. We have a full selection of carnival rides like our kiddy Ferris Wheel complete with bright lights to really bring your holiday event to life. You can even Zip Line into your party if you want.